Financial instruments, science parks and business incubators, justice and home affairs, SMEs and entrepreneurship, research and innovation, local and regional economic development. Research and innovation, Entrepreneurship, Industrial competitiveness, Innovation financing, Better Regulation, Education and culture. Employment and social policy, Education and culture, the Internal market, Local and regional economic development. Employment and social policy, Justice and home affairs. Local and regional economic development, Rural development, Cross-border and transnational cooperation, Employment and social policy, Research and innovation, Brexit. Employment and social policy, Research and innovation, SMEs and entrepreneurship..
Research and Innovation, Education and Culture, Local and Regional Development. Earlier in his career, Mike was a partner in Ernst & Young's Economics Group. He specialises in evaluation studies. Policy interests include the internal market, financial instruments and local and regional economic development. He has worked in most EU countries, Central Europe, the Middle East, the US and some far eastern countries. Mike is a Chartered Accountant and has an MA in Economics from Cambridge University. PRACTICE AREAS: Justice and home affairs. Richard works on projects with a significant legal content. He was a partner for 30 years in Clyde & Co LLP, an international law firm. He has been involved in a number of assignments for DG JUST such as the revisions to Brussels 1 and studies relating to the attachment of bank accounts and the rights of suspects in criminal proceedings. He has experience of handling disputes mainly for commercial clients both in court proceedings and arbitrations and of contractual and civil law issues, fraud and other criminal conduct. Whilst in practice, he handled disputes mainly for commercial clients involving contractual and civil law issues and, on occasion, fraud and other criminal conduct. He dealt with all levels of court proceedings as well as arbitrations and mediations. Much of this work had an strong international element arising from cross-border transactions, bringing with it complex jurisdictional issues and the frequent need to collaborate with lawyers from a wide variety of legal systems. Jack set up CSES in 1999 after a career in Ernst & Young’s management consultancy practice in London where he undertook assignments for the UK Government, European institutions and international agencies such as the UNDP and World Bank. He was responsible for EY’s evaluation and regional policy work. At CSES, Jack has helped to develop the firm’s work in the strategy and evaluation fields for the UK authorities and European institutions. He has carried out impact assessments, evaluations and related types of studies across a broad range of policy fields including: employment, enterprise, justice and home affairs, research and regional policy. He has also undertaken evaluations of EU agencies and networks (e.g. the EMCDDA and the European Migration Network). Strategy work includes assignments to set up business incubators, to develop economic development strategies and to review and improve the performance of organisations. Jack has a strong standing in Europe as an evaluation practitioner and has spoken at many conferences on the subject. He has two degrees from Cambridge University and undertook post-graduate research at a university in Germany. Mark is a Partner with 17 years' experience in carrying out evaluations and impact assessments across the policy, programme and legislative lifecycle. He has expertise in evaluating whether legislation is working effectively and has undertaken evaluations to assess regulatory fitness for purpose. Policy specialisms include: industrial competitiveness, RTD and innovation policy, incubators and science parks and technology transfer, cohesion policy and economic development. He also has expertise in evaluating innovative financial instrument schemes. He has worked on assignments for national and regional authorities in the UK and other clients, such as ACAS and the EHRC and on research studies for the European Commission and European Parliament. He has a first-class degree from Swansea University and speaks fluent French and Italian. Mike is a Partner with wide experience in EU affairs. Originally an academic at a Business School, Mike worked for ten years in Brussels on SME policy. Then, for five years, he was managing director of a modern software company in the UK, before joining CSES where he has specialised in the methodology and practice of evaluation and impact assessment, in the areas of enterprise policy, innovation, IPR and the Experience Economy, and various aspects of the Internal Market. Clients include BIS, local authorities and the UK IPO Office. Jan is a Partner with over 20 years' consulting experience. Jan was formerly with the Economists Advisory Group (EAG) and subsequently Ernst & Young’s International Location Advisory Services (ILAS), London. He has carried out assignments for public and private sector clients in location consulting, economic development, inward investment, access to finance, regional and local economic development in the UK and many other parts of the world, and worked on and led many major pan European evaluations and impact assessments for the European Commission. He has a MCom (Economics) from the University of Stellenbosch and a MBA from Henley Management College (University of Reading). James is a Partner at CSES having joined in 2013. He has led many evaluations, impact assessments and other studies for the European Commission DGs (including EAC, CNECT, EMPL, GROW), the European Economic Area (EEA) and UK clients. James has strong methodological expertise as an evaluator, with a particular specialism in cost-effectiveness analysis. Prior to joining CSES in 2013, James worked for Ecorys (formerly ECOTEC) in Birmingham for 13 years. James also gained 5 years' practical experience of urban and coalfield regeneration whilst working in local government in the East Midlands. He studied Economics at the Universities of Nottingham (MA), Kent (BA) and Réunion (Erasmus exchange year). Anna-Maria is a senior consultant at CSES. She worked in Brussels for 15 years, first as an external consultant on a variety of EU programmes, before working in the Europe Aid Co-operation Office. Since joining CSES in 2004, she has undertaken a wide range of evaluations and impact assessments across a broad EU policy spectrum. Specific specialisms include: enterprise policy, education and training, employment, justice and health & safety. 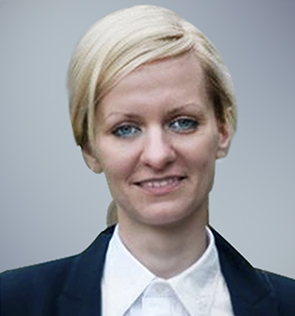 Anna-Maria studied business administration at the Copenhagen Business School and also holds a degree in translation. Malin has more than 7 years’ experience of impact assessment and evaluation studies. She has more than 12 years’ experience in Science & Research policy and she has undertaken work in this area covering the UK, Ireland, Nordic countries, the EU, USA, Africa, Australia and New Zealand. Malin also works in other policy areas including innovation, industry, employment, culture, and higher education. She has undertaken studies of policies and programmes for the European Commission, including DG RTD, DG EAC, DG ENV, DG REGIO, and DG GROW, and for the European Investment Bank and the European Parliament. Malin has also carried out assignments for national ministries in e.g. the UK, Ireland, the Netherlands, Denmark, Norway and Sweden. Malin holds a MA in Global Political Economy from the University of Sussex and a BA in Political Economy from the University of East London. Jayne Woolford is a senior consultant at CSES with 15+ years of professional experience working on regional policy and territorial cohesion, local and regional economic development, rural development and cross-border/transnational cooperation. Jayne has worked on assignments for the EU institutions, national ministries, regional government and universities. She has worked as a policy practitioner at EU, national, regional and local government levels as well as in academia and has experience of working in/with Croatia, the Baltic States, the UK, Ireland and beyond. Jayne has a PhD on regional participation in Europe as well as postgraduate qualifications in economic geography, EU law and Leadership and Management. Justice and Home Affairs, Research and innovation, SMEs and entrepreneurship. Eugénie is a consultant with two years’ experience in the field of international security and international organizations. Since she joined CSES, she has been involved in evaluation and impact assessment studies for clients at the European Parliament (EP-PANA, EP-RS), DG JUST and DG RTD among others. These projects have been carried out in the field of migration, regional policy, justice, innovation and SME policies across the EU. Eugénie holds an MA in International Peace and Security from the Department of War Studies at King’s College London, and a BA in Political Science. Employment and social policy, research and innovation, SMEs and entrepreneurship. Maria is a Consultant at CSES. She completed her PhD in Political Science with First-Class Honours distinction at Paris Sorbonne-University. Before joining CSES she worked as a MEP Policy Advisor at the European Parliament in Brussels. She has past experience in the NGO sector in London, together with extensive experience in Political Journalism in Sofia, Paris and Brussels. Maria published in peer-reviewed scientific reviews and presented research papers at high-level conferences e.g. XXII IPSA World Congress of Political Science, Madrid. She has direct experience in policy-making at EU-level in the fields of sustainability, climate change and regional development. She is fluent in English, French, Russian and Bulgarian. Caroline is a consultant at CSES. She has eight years’ experience in the fields of international development and public policy, specialising particularly in social and environmental sustainability. Before joining CSES, she worked with local governments across Europe on projects to promote sustainability and innovation at the local level. Caroline has worked on evaluations, impact assessments and other studies for clients including the European Commission, European Parliament and World Bank. She holds an MA in Modern and Medieval Languages from the University of Cambridge and an MA in International Politics and Law from the University of Sheffield, where she specialised in human rights, international trade and intellectual property law. Research and Innovation, Education and Culture, and Local and Regional Development. Michaela Brady is a consultant at CSES. She recently completed an MSc in Social Science of the Internet at Oxford University, where she explored the psycho-social predictive factors of cyberbullying behaviour and preventative programmes through education. While completing this degree, she worked as a Graduate Research Assistant for CSES on a literature review of online trolling for DCMS. Before joining CSES, she worked as a research assistant and qualitative coder on a doctoral thesis on therapeutic immediacy with depressed patients at Adelphi University's Derner Institute for Advanced Psychological Studies, as well as an editorial intern at Psychology Today magazine. In addition to her MSc from Oxford, Michaela holds a BA in Liberal Arts from Sarah Lawrence College, where she concentrated in psychology, media and writing. Lisa is an experienced project assistant with over 20 years’ experience. Joining CSES in September 2015, she previously worked for Ecorys UK Ltd for 19 years. Lisa has provided extensive project support to studies conducted for both UK and European clients. Through her work, amongst other tasks, Lisa has provided support with the management of online surveys, event organisation, research support, presentation of deliverables.